Many people think that fiction is plot-based. In truth, fiction is character-based. At the heart of any good fiction is a character who must solve a problem or strive for a goal. 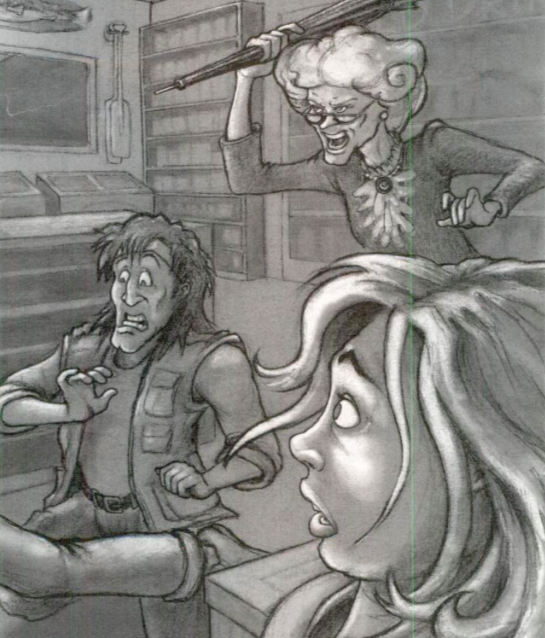 Understanding characters is an important part of navigating a novel or short story. Understanding how you know about characters is an important part of being a metacognitive reader. 2. From what the character him/herself says or does…. 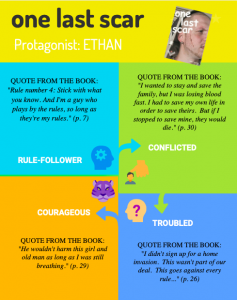 In this CHARACTER INFOGRAPHIC, students identify several traits that describe a story character, an icon or image to represent that trait, and provide quotes from the text to support those traits. This INFOGRAPHIC was created using the website https://infograph.venngage.com/infographics. A common theme in fiction is the development of a character from beginning to end. This How did the Character Change Graphic Organizer can guide your students in charting a character’s development and the events that influence him or her. 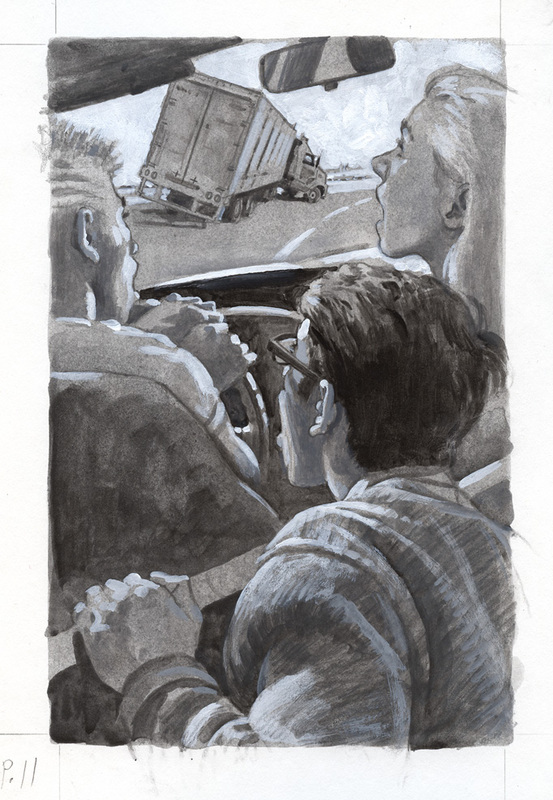 Characters in a novel often see the same event from different perspectives. 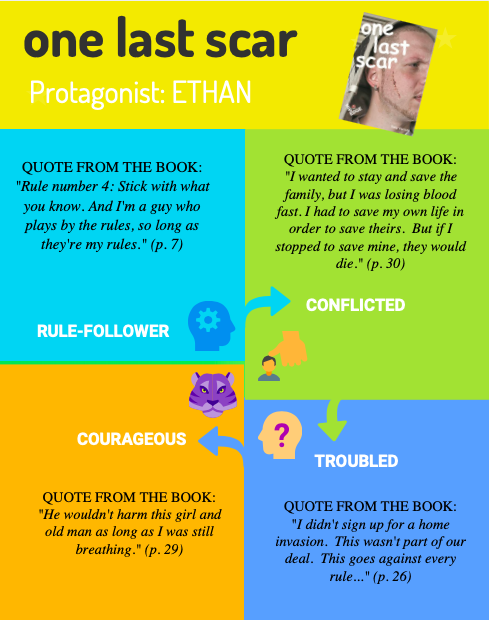 Read more about Character Point of View and download a graphic organizer. Your students don’t know what kinds of words to use to describe characters? This Character Cloud is a Wordle with a list of 45 character traits. Help your students understand characters’ relationships to one another using this template for a Character Sociogram from the SHOW OFF Teacher’s Guide. The basic Character chart graphic organizer invites readers to identify four (or more) traits of a character in their reading, then provide direct evidence or examples from the text to prove or support each character trait. OR, have students create and complete their own Four-Square Character Foldable, with sections for character traits and evidence from the text. Analyze a character’s traits using the Character Report Card Graphic Organizer. Invite students to “grade” a character on a list of traits and provide “comments” with evidence from the text to support the grades they assign.